This is our son Noah. He was born with Down syndrome. As a parent of a child born with Down syndrome I will assure that your assumption that a person living with Down syndrome is “ruined,” is wrong, hurtful, insensitive, and ignorant. People born with Down syndrome have three copies of their 21st chromosomes; compared to the two copies that someone without Down syndrome has. So technically people with Down syndrome do have a little something “extra” if compared to someone born without Down syndrome. So the “extra” part of your statement is true. I would like to know what you mean by that statement. Was your article implying that all people with Down syndrome are “ruined?” If so, can you please define “ruined” for me? I have no problem if you want to attack a city for the way their citizens dress. Go for it. But I refuse to remain silent when you cross the line and make hurtful and dehumanizing comparisons about individuals living with Down syndrome. It is clear that some of your writing staff does not have a clear understanding of Down syndrome. I would suggest they spend some time learning about Down syndrome so that they might have a clear and educated view. What Is Down Syndrome – My wife is a Medical Doctor and has put together this quick and easy read for anyone to be able to understand the facts about Down syndrome. National Down Syndrome Congress – This is another very informative website. THe NDSC actually puts on an annual conference with various speakers, and workshops that I would highly suggest you and your staff attend. I think you will find it very informative and useful in your understanding of Down syndrome. Noah’s Minute – In addition to the above resources we post a daily one minute video of our son who was born with Down syndrome. The idea behind this is that we wanted to give the world a window into what it is like raising a child with Down syndrome. We know there is a lot of misinformation out there, and want people to see that our life is much more “normal” then un-normal. 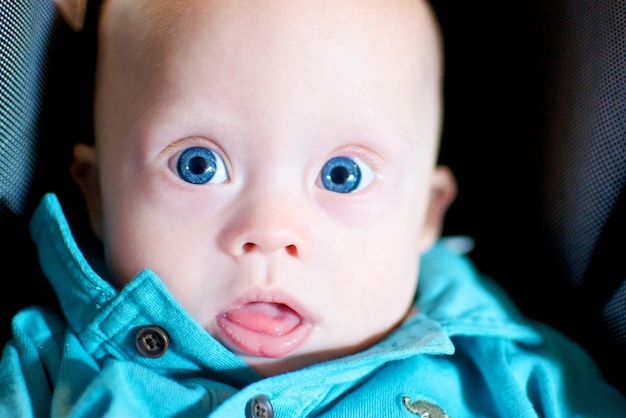 I think after watching a few of the videos you’ll quickly agree with me that people with Down syndrome are not “ruined” at all, rather they are fully human, created by, and in the very image of God, and deserve the exact same dignity and respect as every other person on the planet. I see that you have you edited your online article and have removed the statement about Down syndrome. However in the age of the internet simply deleting something does not delete it out of the minds of those who are aware of it. Deleting the comment, but not acknowledging it isn't right. We live in a day and age where much is being done to increase awareness about Down syndrome, and ultimately put in end to inaccurate, hurtful, and ignorant statements like the one in your article. When media outlets such as yours continue to publish ignorant and uneducated comments about people with Down syndrome it reverses the work that so many of us are trying to do. It is very important that we educate the public with correct information, not make hurtful jokes and comparisons at the expense of the over 340,000 people living with Down syndrome. I demand an apology for the hurtful, inaccurate, insensitive, and ignorant statement made in this article. Not only to the entire Down syndrome population, but to the parents, families, and friends of those living with Down syndrome as well. I hope you will take this letter seriously, and work towards providing Down syndrome awareness training to your staff. By providing this training your writers will have access to true and accurate information concerning Down syndrome, which will allow GQ magazine to be certain that they only publish true and accurate information concerning Down syndrome. In doing so you will ultimately be helping the cause (instead of hurting it) to see that every human being on this planet is treated with the dignity and respect that they deserve. Ruined? No. Mega Cute? YES...! What a great letter! I could not have said it any better myself. We have a 5 week old baby girl born with DS. Your story and blog really has touched our heart and is helping us understand all of the wonderful things we have to look forward to. She is such a blessing and we are enjoying every minute of every day with her. Just like you, we found out only 30 minutes after our daughter was born that she had DS. We so relate with your birth story and want to thank you for creating this blog for other parents out there. You have inspired our oldest daughter (17) to start a blog about our baby girl, Arlynn as well. Noah is absolutely adorable! First CONGRATULATIONS on baby Arlynn!!! I really like that name. Thanks so much for your comment. I took a look at your blog and it is great! Your little Arlynn is ADORABLE! If she is looking for a slightly older (by about 6 months) guy one day I may know just the guy for her. I look forward to reading through the birth story on your stie when I have a little more to read it all. Be sure to check out our new parent page. My wife is a pediatrician and has put together a great new parent guide. We will finishing it up, but there are several great articles there now. Please post the name and URL of April’s blog. I totally agree with everything Noah’s dad said in his letter. I would like to add that “OUR KIDS” are not only very friendly but they have feelings and this kind of article is to be condemned and an a total retraction made. The Down sydnrome community is not only very close but are true advocates for “OUR KIDS”. I would like to see your staff do an article on Down syndrome and do actual research on Down syndrome so that your readership can see that “OUR KIDS” are not “ruined” and they truly enhance our world. Families with a Down syndrome child, I have found to be stronger and love ALL their kids that much more. I hope you and your writing staff will find out that “OUR KIDS” are more alike that they are different. Do you guys have a blog or anything? I’d love to see some pictures of your kid-o! We are only 7 months in, and it’s already been the time of our life! Excellent letter! You are such a great advocate for your son and for all individuals with that little something “extra”. LOVE THIS. I would be interested to see what kind of response, if any, you receive. What a fabulous response! And what a darling child you have. Have you read the book “Expecting Adam” by Martha Beck? It is an inspiring story about a little boy with Down syndrome born in Boston. Apparently, that city has issues with Down syndrome which is more of a “ruination” than any fashion faux pas. Amen and thank you! Our son is Hayden, a wonderful, loving, charming, and clever 4 yr old little boy. He is anything but RUINED. Hayden has a special gift of making every individual feel special, happy, and loved. He is the kind of person who makes the world a better place. We are blessed to have him as our son! Thank you for writing this letter. I plan on re-tweeting it to our 1200+ followers but i just wanted to leave a quick comment in support of you, your family and the wonderful person that is Noah. I work with several individuals with developmental disabilities and they are the kindest, most genuine hearts on the planet. Thank you so much! Be sure to join our facebook page —- http://www.facebook.com/noahsdadcom so we can stay connected. Yeah!!!! I hope they publish this awesome letter so that people everywhere can benefit from your wise words. You tell em! I have posted this Open Letter everywhere I can find to post it on the internet. We’ve been fighting battles like these for years (our daughter is 37), and sometimes it feels like we’re fighting alone. Thanks for being part of the solution. Hopefully. Sadly, though, I’m afraid ignorance of the type presented in GQ magazine is here to stay. After all, what other population presents such an easy target? I was totally horrified when I seen this disgusting statement in the online GQ Magazine article. My beautiful daughter is 7 years old and I feel deeply offended that the GQ editors and journalist did not question whether this would cause offense to people with Downs syndrome and their families. I live near Liverpool in England and I recently walked the Great Wall of China in honor of my daughter and to raise awareness of the syndrome and make people question their misconceptions. Although GQ have pulled the statement from the website, it is still inconceivable how this statement was even thought up in someone’s head, never mind got the stage of publication!! The letter you have wrote is spot on and I would campaign for a public apology on their web-site and show these ignorant people this type of negative language towards our children is unacceptable. This isn’t the first, and sadly, I know it wont be the last time something like this appears in the public arena but we can shout loud too and as long as we all continue to speak out against negative, offensive stereotypes, hopefully the small differences could join to make a real difference in the future. Thank you for posting this. It’s horrific that our society dehumanizes people. period. I am so glad you are using your voice and platform to speak dignity and respect into all life. Thank you, Rick! I have your back! What a fabulous letter. We at 21&Co fully support it’s content and look forward to hearing GQ’s personal response. Fantastic post. Can’t believe they put that in their article. Comparing bad fashion to down syndrome? Good grief. Thanks Rick!!! As a teacher (an ESE teacher at that!) and the soon to be mother of a son with Down Syndrome (we are adopting a 4 year old with DS from Eastern Europe) these sentiments from others often leave me agitated and worked up. It is sad to think that in the here and now we humans STILL prejudice people for all sorts of things. How incredibly ignorant of not only the author but the editors whom allowed this story to run! We enjoy your blog and think your Noah is incredibly beautiful. Our children are far from ruined – if only more people had the spirit and love these children and adults share with others every day. Thanks for standing up! A great letter. It is nothing short of disgraceful what this website have wrote. Going back and editing it without a full and frank apology is also disgraceful. As parents of children with Down’s syndrome we seem to be fighting a constant battle with ignorant people like this everyday. What hope have our children got for the future with ignorant people like this wielding their pens in such an insensitive manner. I hope this matter is taken further with GQ Magazine. Yes!!!! We await a response and I’ll get out a letter myself tonight! Nice letter! I just emailed GQ this afternoon in my own personal outrage for my beautiful 5 month old, Ollie Faith. It’s amazing that people are so misinformed this day in age, but when it comes to DS so many have no clue the beauty in our children! Noah is a handsome man!! Your son isn’t ruined. He’s beautiful. I put together a whole post of my friends with DS in a letter to G.Q. I’m livid about this. Wonderfully written open letter, I sincerely hope the editors at GQ take it seriously and issue not only a retraction but also a personal apology! Hopefully this will be the first step to opening the eyes and minds of their staff, writers and readers alike. What a shame it is in this day and age comments like this are not only made but pass editorial scrutiny and get published. Instead of offering an apology they made a quick change and hoped no one noticed. Noah looks like a beautiful little guy. I wish you both all the best. We have a 4 week old baby girl who was also diagnosed much like Noah was diagnosed. This website has also been a huge blessing for myself. Thank you Noah’s dad for your letter to GQ on behalf of all the kids with ds and their families. I’m not sure you realize just how many families you are helping with you blog. God is working through you to help a lot of families who are learning how we an best help our children with ds. I will be praying for you and you little guy! My husband and I are in the process of adopting two precious little girls with Down syndrome (both are from Ethiopia). So, this GQ article hit close to home. And even if it hadn’t, GQ is completely and utterly out of their minds to publish something so hateful and ignorant and ridiculous. Thank you for writing this, and your son Noah is positively adorable! And yet we are still waiting on a apology about the Down Syndrome comment? Just because you removed it from your article does not mean we didn’t see it. Within one minute my comment was deleted….and STILL no word from them! I am also a mother of a child with Down’s Syndrome. How in the world can someone make a comment like that? Unless it’s complete ignorance. Which is sad. Don’t these people realize that they also have feelings just like we do? They may look a little different but that just does not justify what was said. What they don’t know it that they are the sweetest children and adults they could ever meet. I wouldn’t have my son any other way. I love him just the way he is. This story brought me to tears. You are an amazing dad (as I am sure your wife is an amazing mom). My cousin Danny was hit by a car when he was a toddler and ended up mentally disabled and I get so mad when I hear people throw around the word “retard” to this day!! I have also worked with children with special needs and was brought up spending the majority of my free time at my mothers job (she worked at a respite home). People with special needs are really not much different from you and I, if anything “special needs” just means they really are more special 🙂 People with DS seem to be so much more kind and loving, like God gave them some extra beauty in that chromosome!! I met a boy named Mikey who had DS and was also confined to a wheelchair I can promise you even though he didn’t speak and could hardly move just looking in his eyes it was like you knew that he was an amazing kid. His eyes smiled for the rest of his body! Your story has touched me and I am so glad you have spoken out !!! Way to go Noah’s dad ((by the way my almost 3 year old is named Noah also, great choice of name !! haha)). EXCELLENT response Rick! I’m a pastor and have the awesome PRIVILEGE of seeing, almost weekly, children with DS. These kids are the most loving students I know. I seek them out and my day really wouldn’t be complete without a hug. They are a gift to me and our church family! Excellent letter! It makes me so mad at how ignorant these people are. It is our “ruined” society that cannot recognize a blessing. Shame on them! Thank you for standing up for our beautiful children. I will be sharing this. Your son is beautiful and I love the name.. Our son Noah 🙂 is 18 months old and has Down syndrome. He is the love of our lives and we wouldn’t want him any other way! I could not have said it better myself. Thank you for your letter and for educating the ignorant. Our son Eitan (10 years old) is a joy and a blessing. People with DS have so many obstacles in their path already — is it necessary for this writer to be so insensitive? Shame on GQ. Great Job!!!!! GQ, I hope you are listening…. Great post Noah’s dad! I see lots of people saying “how can people say such things?? ?”…well, the link above tells some of the tale. Quite sad. I saw your article on FB thanks to my DIL Jessica. What a great letter to an ignorant, insensitive organization. Thanks for helping dispel so many misconceptions about our special children. My adventure began almost 29 years ago when my son Daniel was born. A lot has changed since then. But we still have far to go. My “ruined” son leads an active, happy, productive life. He absolutely loves children, animals and girls of course, and he is loved right back. He has a part time job. How many “non-ruined” people don’t even bother to get employment. BTW, your son Noah is beautiful. And those eyes, need I say more. Your adventure is just beginning. Looking forward to seeing your son’s progress. Subscribed to the email and followed you on twitter and facebook. Challenge to GQ magazine: Hire not just one “token” person with an intellectual disability, but several and you’ll regret ever allowing such a disgraceful excuse for “writing” to be published. my goodness, Noah is so incredibly handsome- those blue eyes! I just learned of this article today as my blog feed blew up with bloggers responses to the article. I have never felt the sting of the cruelty that we will face until now. Thank you for writing this. I am not sure if you sent it to them, but it seems they are sending out a generic apology to any one who does. Hi Noah’s Dad, I agree 100% with you! I await their response to your letter. Your son is really cute, congrats! Well said! GQ should apologise now. How sad that they can get away with publishing complete rubbish and that they have not replyed shows what cowards they are. Just such a shame they don’t have the balls to admit their mistake in printing it. Wow! Very powerful letter, Joe! Well thought out and a true “smack-down” of the warped individual who wrote that Boston had some sort of fashion Down Syndrome. It is incredible to me that these officious and snotty young people always have to use a term like “retarded” or some other offensive term to decry their hated enemies. Don’t they understand that no form of retardation or physical handicap from birth can ever be the “fault” of the individual? These troubles and conditions are put upon us all by NATURE. If people don’t know how to follow some person’s arbitrary idea of what is fashionable, this has nothing to do at all with any form of mental dysfunction or incapacity or challenge. It has to do with the fact hat they (Bostonians in this case) feel FREE to make up their own minds what fashions they like or dislike. It is up to the fashion writers to try and convince them to take up a new fashion consciousness. One cannot do this by lambasting others for having fashion Down Syndrome! It is just mean, belittling and demeaning, to both those with Down Syndrome and too Bostonians in general. Crtics are all alike, men and women pointing a finger in a darkened mirror that is nothing more than a reflection of what they don;t want to see in themselves. Noah is way better looking..and has more style than any fake GQ male. No, I didn’t read the whole article nor did I read your entire response. What I believe the writer to mean was – “Style-Down” Syndrome not really meaning Down’s Syndrome at all. 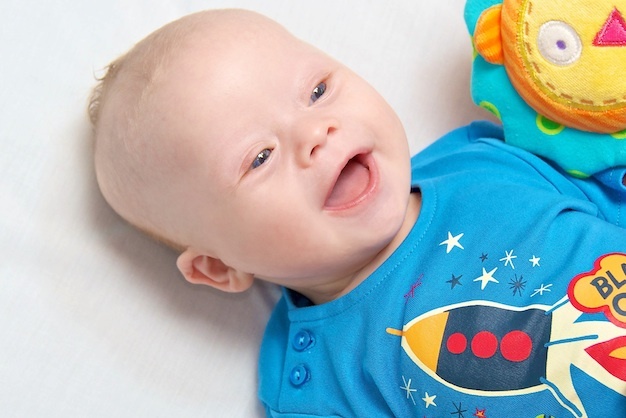 I am familiar with Down Syndrome, I was a nanny to a ten year-old girl several years ago and have thought that I would like to adopt such a child when I get married. These children have to be the most innocent, loving people I have ever met. Life gives us many opportunities to be offended, I think we just need to guard our hearts to not allow that to happen. Ideally, this person used a poorly worded sentence and meant not harm. I am not defending this guy so much as I am concerned that you not be offended. I’m not personally involved with anyone who has Down Syndrome (not that that would be a bad thing at all, it just hasn’t personally impacted me), so I’d like to add another voice from the non-affected community expressing my horror that such an awful, prejudiced, dismissive comment was published as part of a major US magazine. Bad enough that the author chose to write it, let alone that the editors chose to allow it through to publication. I would hope that it was a case of editors not doing a careful enough job of reading through and not catching what was there than just not caring or worse (shudder) actually approving of it. Seeing a statement like this from a GQ writer certainly makes me think less of GQ as a magazine. I would certainly hope there would be a retraction and apology, and hope that the author gets some training (and actually learns something about people with Down Syndrome). I am writing to you from Panama, Central America and I can understand your feelings so well because this is our daily bread since Ariel Moisés was born 8 years ago. I agree with you, we cannot stand still when ignorant people hurt and diminish our children. We are God´s children and we deserve to be treated with respect and dignity. We should not settle for less. I loved your letter and I write many like this every year; from the President to the school that does not want to accept my son because he has Down syndrome. Maybe you do not see it like this now, but life is much easier and tolerant in the United States than it is here. Governments just don´t care and if you do not have the money, your child will not get too far. The US of A is not perfect but it is ahead on the disability issue; I would do almost anything to be able to get there so my son could get a better education. Anyhow, I just wanted to let you know there are others like you, Dr. Brian Skotko and I who stand up for our rights. In our countries people complain maybe to a friend or two but they will not write to anybody, we need to evolve and change this mediocre way of looking at others to solve our problems. In summary, too much talk, little or no action. I just feel I do not belong here. Keep the faith and be strong. The same God that made Noah in her mother´s womb, is the same God who will help you and the rest of us to accomplish our mission. God bless you and many kisses to Noah! how do I send you a pic of Ariel Moisés? He is a handsome boy, his pictures have been selected twice for the Buddy Walk video at Times Square, NYC!!! I stand behind Noah and the beauty of this child. I’d never stand behind a publication that disgraces the innocent. Little Noah is ADORABLE and while you may have a few additional challenges – what a joy he is/will be in your lives. Thanks for that reply to GQ. I am disgusted by their careless, pathetic, insular, vacuous article and the insensitivity they have wantonly spewed into the community. I’m glad someone has taken the time to take them to task. Thanks! PS Noah rocks that tie! I am not educated about this twitter thing..but I know, actors/actress’s are on it all the time..I saw Mila Kunis is one. She has a lot going on with her new movie and acceptance to the Marine ball..she also has graced the cover of GQ, along with many others..if anyone knows (if you can) how to twitter this info to them..ya never know where it will go..just a thought..Have a great day Noah !! From what I can tell, GQ has sent a form letter apology to those who complained (I’m not sure if you’ve recieved one), but I have yet to see where a public apology has been made. The author of the article and editor who allowed it showed a lack of class (“Gentlemen’s” Quarterly indeed) and reflected the ignorance that still plagues our society. Never bought or read GQ – never will. Kudos to everyone who stands up to the ignorance that swirls around anyone who is different. My Aspie and I will continue to pray for the strength for everyone to continue to dispel the intolerance. Thank you for writing a much needed response to the poorly worded article. GQ has a lot to be answering for. Thanks Wendy! I’m surprised (and disappointed) that we still haven’t received a response back from them. As an aunt to a gorgeous young lady Grace, beautifully done. Yes, she has Down Syndrome, but she keeps up with her two older brothers. Thank you for your note. Hi ND What a well written letter. Don’t let up until a public apology is made. I don’t want my 7 month son to grow up in a world where comments like this are considered acceptable. Your son is such a cutie! Looking forward to getting to know Noah through your blog. Just saw this as a friend posted on fb … it still amazes me how ignorant and classless some can be … but what a perfect response, offering both education and class … and GORGEOUS blue eyes! Rick, what an awesome letter and an even more awesome website. You are clearly an encouragement to all of us. Noah is a doll. Keep up the great work… God is good. Thank you so much for your kind words. It’s been a very fun journey. Please be sure to stay connected to us. Have you “liked’ us on Facebook yet? I just stumbled upon your site via the Down Syndrome Association of Toronto’s facebook page. Noah is beautiful! Thank you so much for being such an advocate for people with Down Syndrome. It saddens me when individuals such as the author of this GQ article are so ignorant. My older sister has Down syndrome (she is 34), and this year she will be celebrating her 5th wedding anniversary (her husband also has DS)! Their love is pure and kind and they are an inspiration to everyone they meet. Kids with Down’s can amount to GREAT things. I hope that you eventually got a reply from GQ! Excellent article…Just forwarded to my friend who has a down syndrome daughter whom we absolutely adore. God bless you and your family.